TURN-KEY! BEAUTIFUL PARTRIDGE CREEK RANCH! Located in desirable Partridge Creek Village Subdivision within walking distance to outdoor mall! This stunning open-layout ranch home features a classic traditional brick elevation w/ large windows & shutters, oversized three car garage, covered rear patio & professional landscaping. 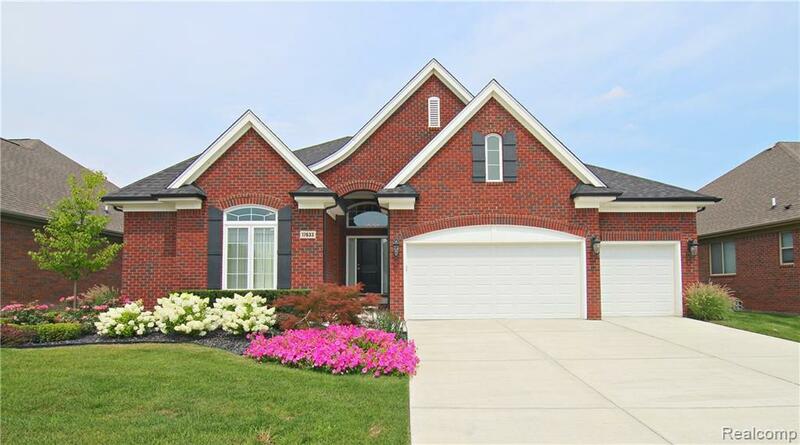 Interior is loaded with premium upgrades including, extensive trimwork & wainscotting, arched openings, spacious great room w/ natural stone fireplace & custom mantle. Open layout perfect for entertaining! Stunning gourmet kitchen w/ raised panel maple cabinets, upgraded granite counters, stainless steel appliances, walk-in pantry, subway tile backsplash and more! Luxurious oversized master suite w/ private bath and hardwood floors. All bedrooms include spacious walk-in closets, & private study can be used as 4th bedroom w/ closet. Community pool, clubhouse, playground. A truly rare find, list of features are endless! IMMEDIATE OCCUPANCY!